Tires Plus is the Complete Automotive Repair Facility! Since 1983, Tires Plus has been offering excellent Automotive Service, and the best Tire Brands to customers located in Minnesota. Known for having an outstanding staff of friendly and knowledgeable employees, Tires Plus is sure to be able to help with even the most difficult Automotive Problems. With five Locations in Minnesota, Tires Plus can conveniently serve customers in St. Paul, Minneapolis, and surrounding areas of Minnesota. Stop in to Tires Plus Today, during the hours of: 7:00 a.m. to 8:00 p.m. Monday to Friday, 7:00 a.m. to 5:00 p.m. on Saturday, and 9:00 a.m. to 4:00 p.m. on Sunday. Click Here To Search For Tires For Your Car! 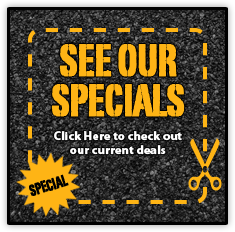 Tires Plus offers great Products and Services available at any time. The Tire Brands at Tires Plus are: BFGoodrich®, Bridgestone, Continental, Cooper, Dayton, Delta, Dunlop, Firestone, Goodride, Goodyear, Hankook, Kumho, MICHELIN®, Riken, Uniroyal®, Yokohama, and Nokian. The Automotive Services at Tires Plus include: Preventive Maintenance, Engine: Diagnostics and Performaance, Brakes, Electric: Electrical and Electronic Systems, Exhaust Systems, Transmission, Four Wheel Drive Systems, Wheel Alignment, Belts and Hoses, Lube and Oil Change, Steering and Suspension, Axle/CV Joint/Driveshaft Repair, Electrical: Starting/Charging/Batteries, Heating and Air Conditioning, Cooling System/Radiator, and Differential Repair.